The popularity of cycling as a sport and the rise of bikes as a means of transportation has made bicycles attractive to thieves. 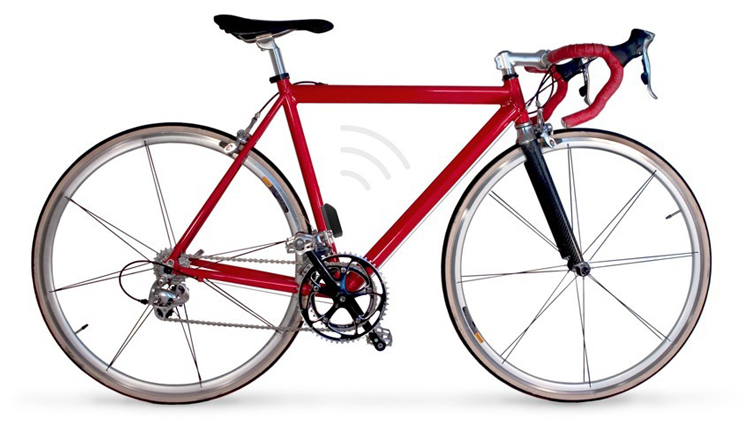 There are approximately 1.5 million stolen bike in California each year. And most of the crimes are carried out in areas where cycling is popular. Unfortunately, bike theft is not a police priority, which resulted in a very low 2.4 percent recovery rate of the stolen bikes in California—discouraging bike owners from even reporting incidents later on. To prove how easy it is for a thief to steal an expensive bike, Inside Edition, in coordination with the well-known bike shop in Southern California, Helen’s Cycle, provided a trek mountain bike that costs $2,500 and fitted it with GPS and radio tracking device hidden on the bike. They then secured it to a signpost with padlock, and soon enough, a man approached the bike, cracked the lock using a wire cutter, then took off with it. They chased the thief along North Hollywood streets. 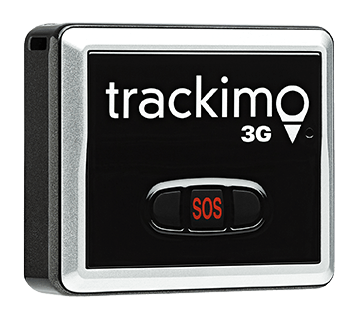 With the help of the installed tracking device, they were able to follow the stolen bike in California to the underground metro station in Los Angeles and caught him while he was sitting on the train platform with the bike. They let the man go as he took off on a train. The IE team fastened the bike on the Venice Beach boardwalk. 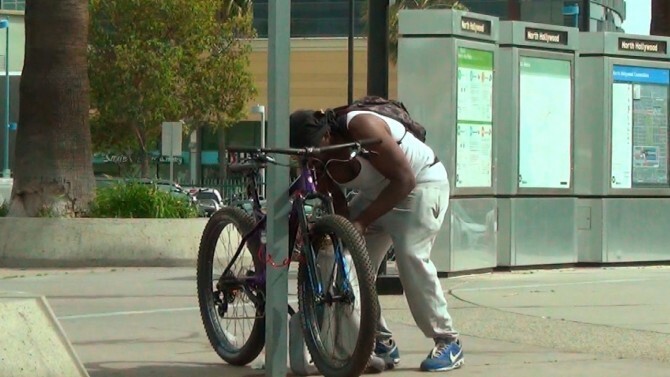 After a while, another man walked past the bike several times before freeing the bike from its lock with the use of a cutting tool and pedaled away. Once more, using GPS, the group pursued the thief for two-and-a-half miles near Marina Del Rey. The team confronted the robber, but he denied stealing the bike, saying that he just saw it there. But the man retracted his statement after he was shown the video. He said it was his first time to do it. Nonetheless, the police arrived shortly and arrested the snatcher. You know how rampant bike crime is these days. 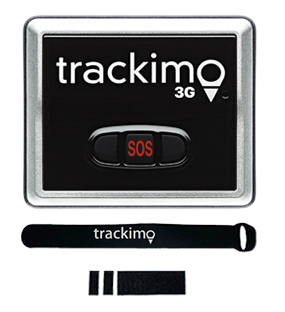 One way to stop bike theft is to use a reliable GPS trackers for bikes like Trackimo. 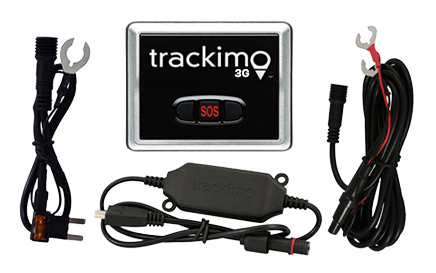 You may not prevent robbers from stealing your bike, but at least you can recover it by finding its real-time location in the app.